Starr County District Attorney Omar Escobar, Jr., confirmed to the Monitor that, on Thursday, investigators with his office took into custody Modesta Vela, 60, and charged her with four felony counts of illegal voting, election fraud, and knowingly possessing a ballot or ballot envelope of another person with the intent to defraud, as well as a misdemeanor charge of unlawful assistance of a voter. The Starr County DA’s office opened an investigation on Vela more than a week ago, according to the McAllen-based newspaper. Escobar said the charges followed a probe into a complaint filed at the elections administrator’s office. It alleged that Vela approached an elderly voter in the border city of Roma, took the voter’s mail-in ballot for the November 2018 election, filled it out herself, and mailed it. Vela allegedly voted differently than the voter intended. Subsequently, investigators with Escobar’s office stopped Vela while driving on Thursday evening and told her a warrant was issued for her arrest. Vela was a longtime employee of Starr County’s Precinct 2, but was fired earlier this year. Escobar told the Monitor she assisted more than 200 people with their ballots by mail during Starr County’s March 2018 Democratic primary election. 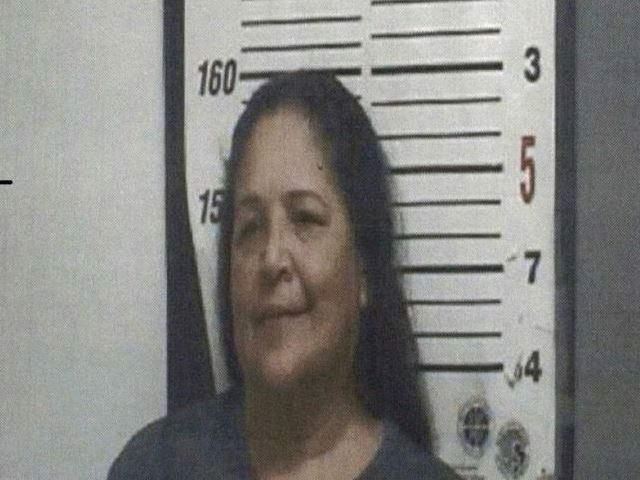 In 2010, the Texas Rangers arrested Vela on misdemeanor charges alleging the Precinct 2 worker failed to sign between 10 to 20 mail-in ballots indicating she helped voters in the March Democratic primary, according to the Brownsville Herald. That year, Precinct 2 Commissioner Raul “Roy” Peña was convicted on voter fraud charges for violating election law during the Democratic primary. In January, Escobar vowed to crack down on voter fraud after allegations surfaced over questionable voter rolls, illegal voting by nonresidents and noncitizens, and mail-in ballot voter fraud. He requested assistance from Paxton, who pledged his office would assist with the county’s voter fraud prosecutions. This resulted in seven arrests, to date. Recently, Breitbart Texas reported Starr County agreed to clean up its voter rolls as part of a federal lawsuit settlement. This agreement followed a legal battle that began in 2016 when a civil lawsuit filed by the Public Interest Legal Foundation on behalf of the American Civil Rights Union alleged the County failed to use reasonable efforts to maintain accurate voter rolls, a violation of the National Voter Registration Act (NVRA) of 1993, also called the “Motor Voter” law. In addition to Starr County, Breitbart Texas has reported on alleged mail-in ballot fraud and other irregularities in Bexar, Harris, Hidalgo, Gregg, Dallas, Nueces, and Tarrant counties. Last year, state lawmakers passed Senate Bill 5 during a special legislative session. It stiffened penalties for mail-in ballot voter fraud. Absentee ballots are used by voters age 65 and older, the disabled, people out of the country, and incarcerated individuals who remain eligible to vote. Escobar said he considered voting by mail the most insecure way to cast a ballot. He emphasized that, according to Texas law, if a voter receives an absentee ballot and is physically able to receive and send mail, they must be the person to mail in the ballot. A Starr County Sheriff’s Office spokesman said Vela was released from jail Thursday evening on $145,000 bond.